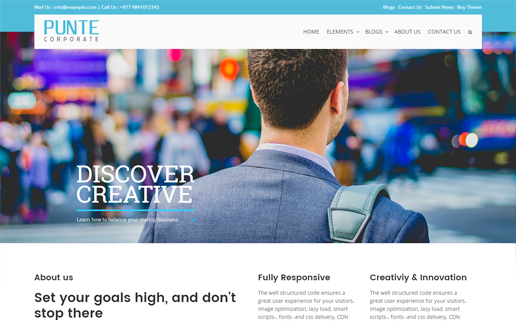 With an aim to develop and deliver high-end multi-purpose premium WordPress themes which offer quality as well as genuine values to the individual, business, companies and organizations here we launched The Punte. 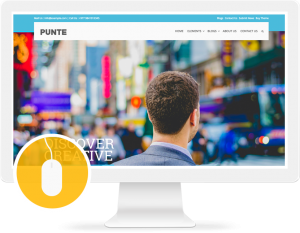 The Punte is a premium WordPress themes provider company. We craft only high-quality premium WordPress themes. A professional team with years of experience in WordPress theme development work with us. We focus on excellence in WordPress themes. Premium themes are not just paid themes, rather they’re with premium quality, premium features, premium support and a powerful premium framework in a place. 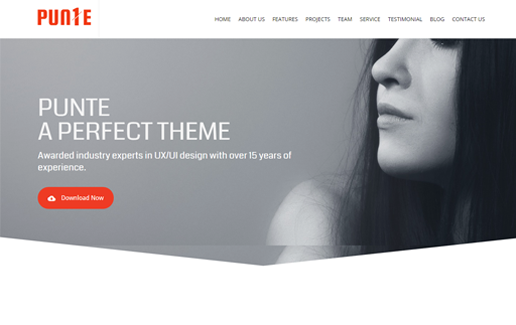 For us, the term premium themes are high-end /high-quality themes. Then, what is high-end/high-quality themes? It’s holistic, the theme with not just spectacular graphics, but also, clean &strong programming/coding, powerful features, user friendliness, intuitive, excellent support and much more. 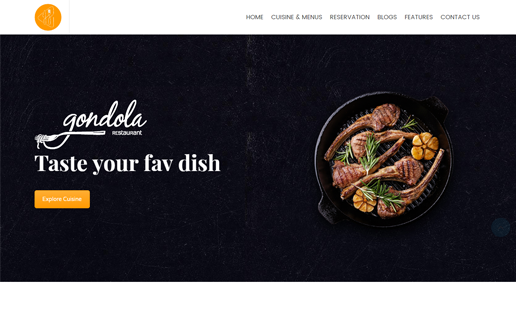 Your premium business needs a premium WordPress theme. 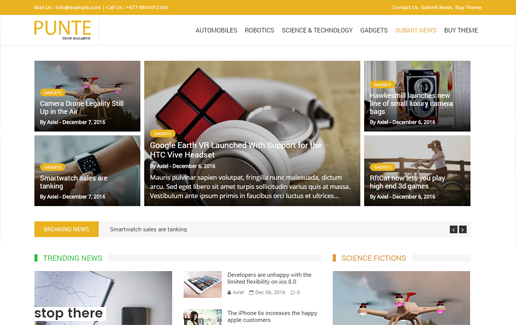 So, here we present “Punte” – a World class premium theme ever. 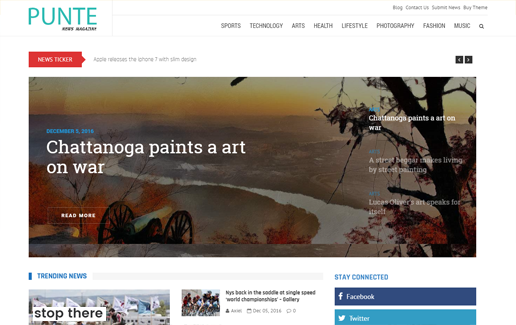 There are many premium WordPress themes available in the market. Then, what’s new on “Punte”? We never let anything else come first then quality. The Punte offers a professional look and clean finishing. Coded with validated codes, optimized for better SEO performance & fast loading speed, safe and secure, The Punte ensure a great user experience and usability. Our energetic team of professional coders develops the theme with clean & validated codes. Carefully written and the well-tested codebase is never the barrier for maintenance, debugging and further updates and developments. We ensure it with The Punte. UI/Design matters the most for any business website. Making a good UI is never easier, but our passionate designers are confident about it. The team explores the creativity, new ideas & gives out the sleek & divine designs. The Punte, by the dedicated effort of professionals, meets the premium standard UI/Design. Powerful and modern features are what The Punte focus on. The Punte comprises each and every essential feature that you need to create a complete and successful website of any niches. All the features confined by The Punte includes various advanced options and possibilities. Design your dream website easier & faster than ever. You will truly enjoy working with The Punte. Support is crucial. The top-notch expert support is a specialty of The Punte. We are proud of our dedicated support team for their awesome service. Our team is always by your side with a genuine solution of your any problem. The Punte offers quick, reliable and friendly support service. Just feel free ask. Especially, for non-technical geeks/layman, The Punte is easy-to-use and understand. Of course, WordPress itself is user-friendly. But we try to improve it and make it more user-friendly to meet a wide range of users, whether a simple blogger or a business owner. The Punte meets a premium class user-friendliness. The Punte comes under reasonable price structure. Undoubtedly, it is worth the cost. If you compare the value you get and the amount you pay, it’s always a profit for you. Unlike other themes provider, everything you get with The Punte is of premium class. It delivers powerful feature-rich premium themes, premium support, premium values. Therefore, Punte is the right choice for your business. 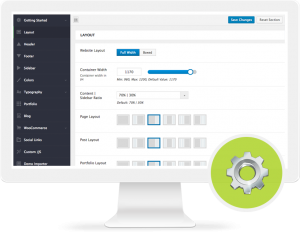 It reduces recurring prices, reduces customization and support cost and lets you just focus on your business! Start exploring the new height of success and satisfaction with Punte. Let Punte do the rest of your website. Enjoy the full flexibility with Punte. 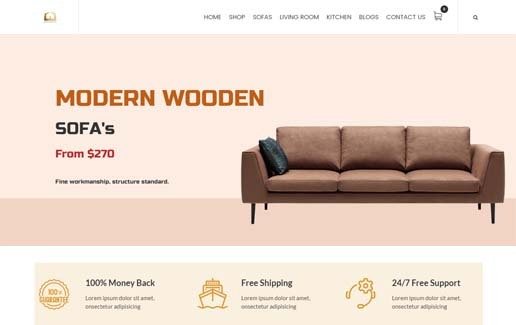 It comes with Visual Composer that enables you to design your dream website with different available elements with simple drag and drop feature. Even if you are a non-coder you can easily build your website from scratch using this intuitive visual composer. Punte offers 150+ theme options that make it really worth the premium standard. Choose any layout, style it and build an outstanding website in no time. You have full control over your website, present it however you like, it’s just a matter of few clicks. Building an innovative website was never so easy before. But not with Punte. Punte comes with 6 awesome demos for various niches, just choose the right demo, import it and start configuring as per your need. If you don’t like any of the pre-designed templates available, you can also create your own layout. With Punte, you will get a premium revolution slider worth $25 for free. This responsive plugin features advanced animation, typography options, color options and much more. Create a visually appealing slider for your website with an ease. Punte is integrated with feature-rich WordPress mega menu plugin – AP Mega menu. With this awesome plugin, you can display a menu as fly out or mega menu type with vertical or horizontal orientation. It saves your $18. 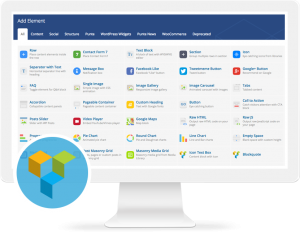 Visual Composer worth $34 comes bundled with Punte. You can easily create incredible pages with just simple drag and drop feature. Enjoy the highly flexible Visual Composer with 30+ beautiful elements absolutely free. Interact with your user via social network. Embed social icon and link-up to your social profile right from your website. AccessPress Social Icon plugin worth $20 you will get free with Punte. 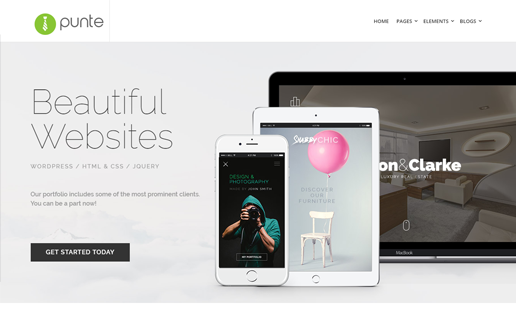 Punte comprises 6+ beautifully pre-designed homepage. Choose any layout, import demo and make your website in the easiest way. Below is the available demos of Punte and still more to come.